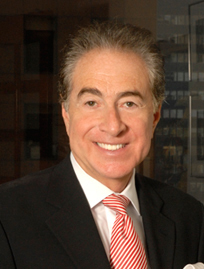 Bruce H. Lipnick is Founder, CEO and Chairman of the Board of Directors of Asset Alliance Corporation (“Asset Alliance”). He is also Chairman and CEO of Asset Alliance Advisors, Inc. He has over 40 years of experience in the investment management and financial services industries, and was a pioneer in utilizing various hedging techniques in portfolio management in the early 1970’s through the 1980’s. While under Bruce’s leadership, Asset Alliance pioneered the acquiring and seeding of 18 hedge fund managers, having raised over $7 Billion with its affiliated managers. In 2002, Asset Alliance launched the first 40 ACT Mutual Fund, which invested in Alternatives. Mr. Lipnick is CEO and Founder of Asset Alliance’s crowdfunding initiative, CrowdAlliance. Prior to founding Asset Alliance, Bruce served as principal, general partner and senior executive officer for several investment management organizations including Wharton Management Group, Inc., which he founded in 1982 and also served as president. He was a member of the Advisory Council of the Milken Institute California Center and of the Advisory Board of the First Eco Power Conference in Brazil. He was also a member of United States House of Representatives Speaker Nancy Pelosi’s Speaker’s Cabinet, and in 2002 he received Ernst and Young’s Entrepreneur of the Year Award. Bruce was a supporter of the New Combinations Fund for the New York City Ballet, a supporter of the School of American Ballet at Lincoln Center and is a benefactor for the Washington Ballet at Kennedy Center. He is a past Dinner Chairman of Petra Nemcova’s Happy Hearts Fund and a board member of Hedge Funds Care. In 2008, Bruce received the Lifetime Humanitarian Award for Giving from Hedge Funds Care. In May 2011, he was awarded the Lifetime Achievement Award from The Young Jewish Professionals (YJP) for his career in the corporate finance world, spanning almost four decades. Bruce is also a founding member of the Young Jewish Professionals (YJP) CEO Conference. In 2012, he was named Executive of the Year in Investment and Financial Planning by Worldwide Who’s Who. Earlier in his career, Bruce was President and Founder of the Elms Companies and was Vice President of Ladenburg Thalmann & Co. In addition he founded Pierpont Management, Inc.
Bruce received a B.A. in Finance from Long Island University in 1969. He is a member of the Board of Directors for the Federal Enforcement Homeland Security Foundation. Additionally, Bruce is the Chairman and Founder of nRapt, a streaming media portal with aggregated cultural and performing arts content. nRapt is poised to launch late summer of 2016 as it seeks to establish itself as the best-in-class global aggregator and definitive digital destination for discovering, experiencing and engaging with quality performing arts content. The platform is positioned to help venues and artists by providing radical data transparency, which is important to the growth of the current and underserved performing arts community. Bruce also serves on the board of HedgeCoVest, a disruptive liquid platform that changes the way accredited and non-accredited investors access Hedge Fund Strategies.